Lyric Essay is written in a neo-romantic style. It is a slow, reflective work with much opportunity for musical expression. 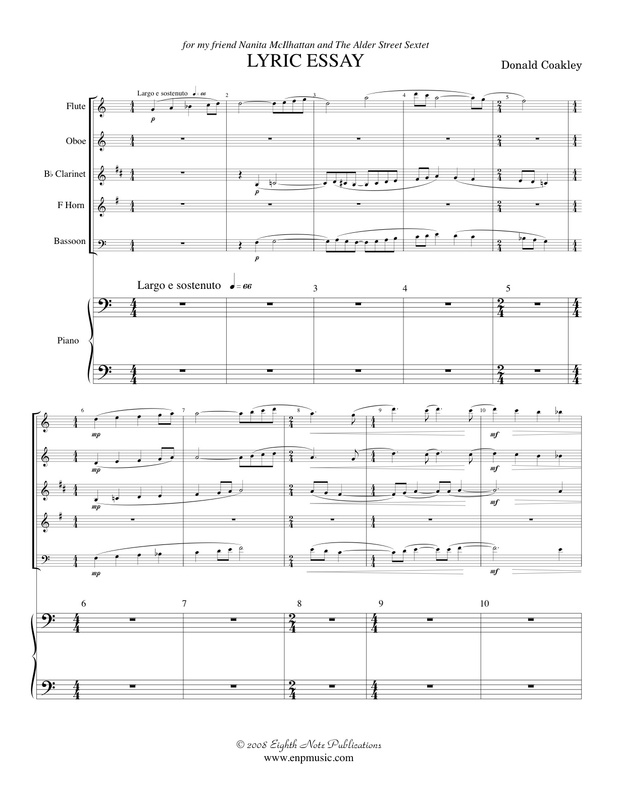 This version was adapted from the concert band edition by the composer for woodwind quintet and piano.